A huge number of things, tools and weapons in the game are not available without knowledge of crafting recipes. In this case, we suggest to use CraftGuide mod, which you can download for Minecraft 1.7.10, 1.7.2 versions. The modification adds an incredibly simple interface with easy navigation for viewing crafting recipes. 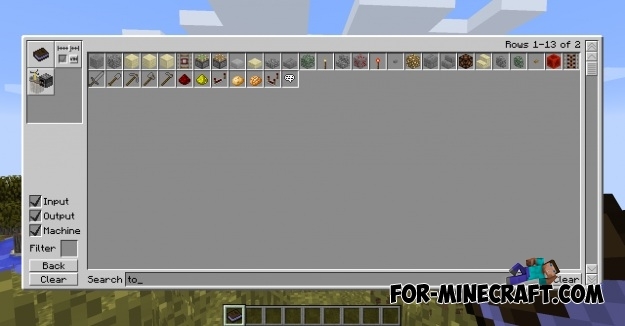 Crafting Recipes are grouped together, allowing you to quickly find the necessary things. 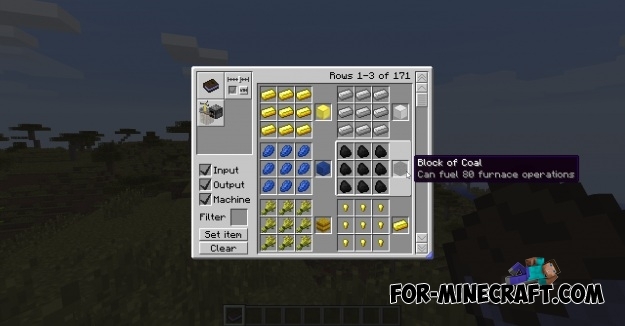 Kuuus Magic Wand for Minecraft 1.7.10Kuuu's Magic Wand Mod adds a magic wand that will help you in crafting. 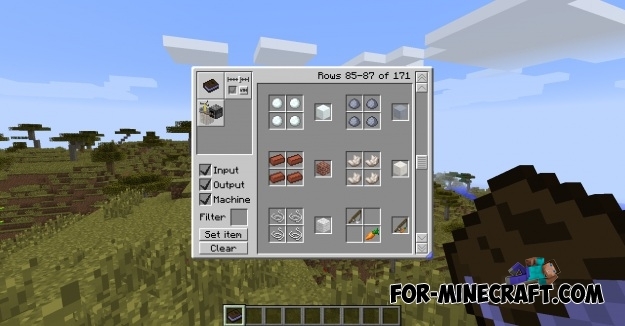 PC Crafting mod for Minecraft PE 0.10.5This mod changes the system of craft in the game, now with tapas on the workbench you will open a window with the same interface as in the PC version of the game.